Knoxville is a small, unsuspecting city, but don’t let that fool you. When it comes to eating out and drinking, locals will quickly tell you who is dishing up the best. From OliBea to Knox Mason, here’s where to eat and drink in Knoxville. Are you craving the sweet and savory? Buttermilk Sky has you covered. 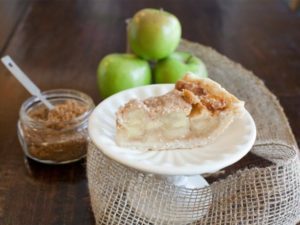 Sample classics such as Granny’s apple pie and chocolate meringue pie, or choose from daily flavors and seasonal pies. Homemade biscuits and ice cream are on the menu as well. Buttermilk Sky Pie Shop has 2 locations in Knoxville — Kingston Pike and Parkside Drive. Not in Knoxville? No worries. They will ship either an I-40 pie or a Nanny’s pecan pie to your front door! What’s not to love?